Lately, I’ve had to go to Chinatown at least once a week. Since I get charged a minimum for parking whether I stay one minute or an hour, I usually walk around a bit, if I have some spare time. 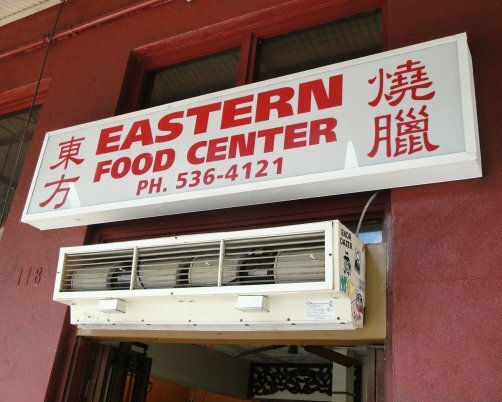 Eastern Food Center (118 North King Street, Honolulu, Hawaii) has been on my radar for some time now. It used to be one of our go to places for Chinese-style roasted meats, take-out, not eat-in. Lifestyle, circumstantial, and geographical changes (ours, not theirs), means I’m not as frequent a visitor any more. This past Thursday would be my first time eating a meal there. 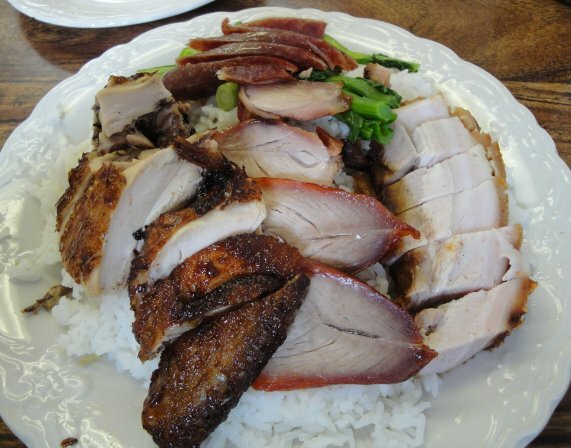 Three Star: Char Siu, Roast Duck, and Chicken – $7.95. Four Star: Char Siu, Chicken, Roast Pork, Lup Chong Sausage – $7.25. Five Star: Char Siu, Chicken, Roast Duck, Roast Pork, Duck Egg – $8.50. The char siu was the weakest link on the plate (it was okay), but in my opinion, there were always better options for char siu nearby. Everything else was extremely decent. 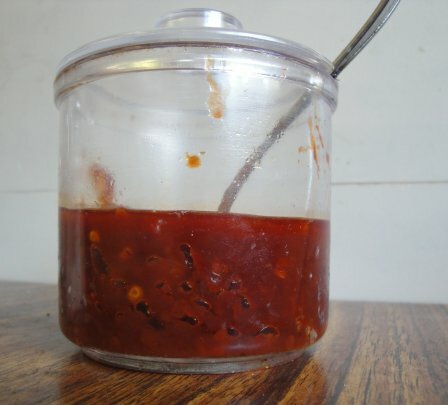 The chili sauce was more like spicy ketchup (in a good way). I thought the previous post would be the last one for the year, but this one definitely is. Again, have a safe and happy new years. Best wishes (peace, prosperity, health, and so on and so forth) for the coming year. Two things, first, my father didn’t like spicy foods, but he liked chili. 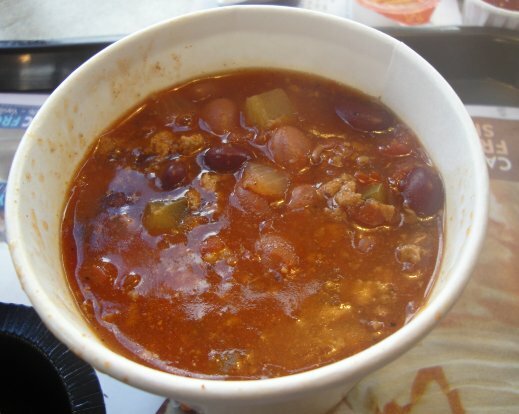 He wasn’t a chili snob, he could and did eat chili from a can (he also liked the chili from Zippy’s). Second, my father wasn’t a fan of fast food, he wasn’t a burger person. That being said, he didn’t mind the chili from Wendy’s. Whenever we ended up at Wendy’s, which was occasionally at best, he would order their chili and a baked potato. I was passing by the Wendy’s near the airport a little before lunch time yesterday and decided to check it out. I think I haven’t been to a Wendy’s for at least a decade. Tastes the same as before. 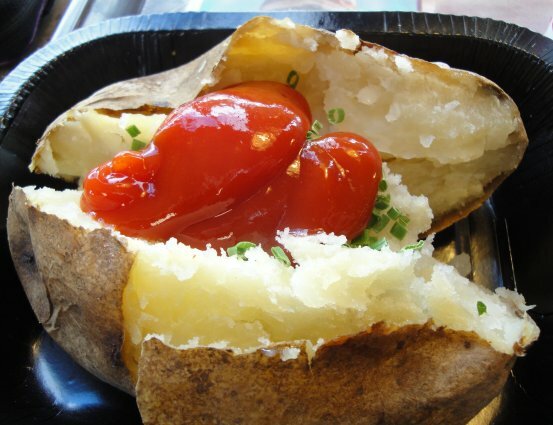 I know, ketchup on a baked potato, weird right? You eat French Fries with ketchup don’t you? Same difference to me. 🙂 Plus, substituting ketchup for sour cream is less fattening, I think. The Cat likes squishy food. I think I posted about that before. 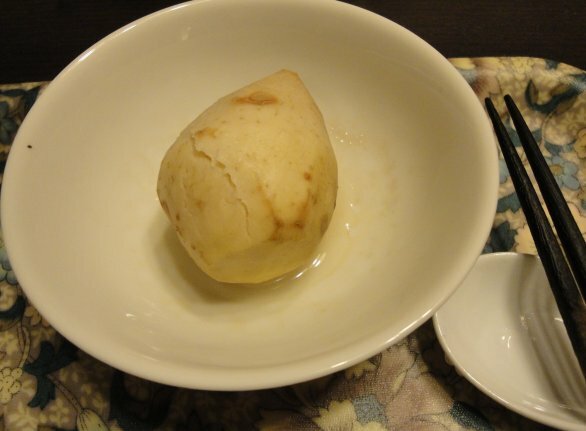 Lately, I’ve been making jook (Mandarin: zhou) for The Cat’s dinner (good during winter nights). 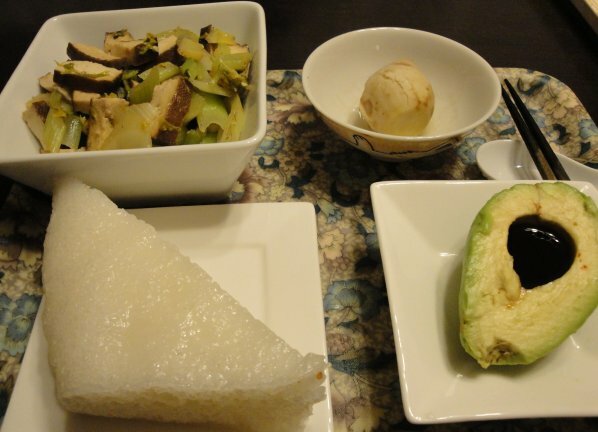 Last night’s dinner, I thought I’d mix it up just a little, for variety. Also known as dasheen or dry-land taro. 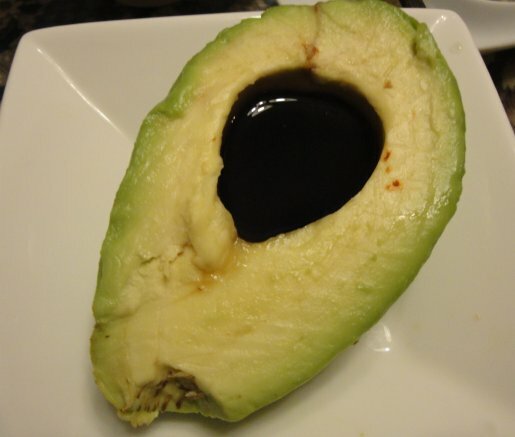 This was how my father used to eat his avocado. The Cat has adopted this method. 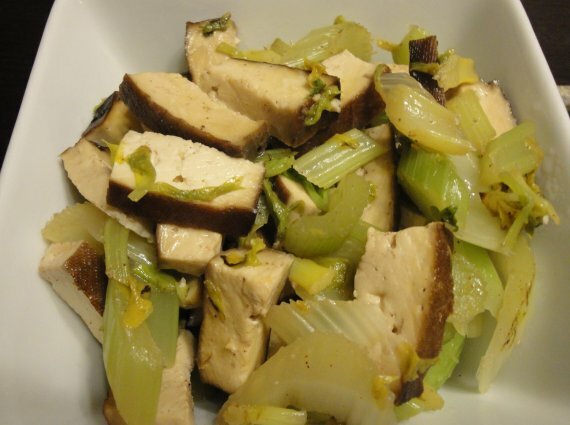 The tofu is from Mrs. Cheng’s Soy Bean Products (233 Kalihi Street, Honolulu, Hawaii). 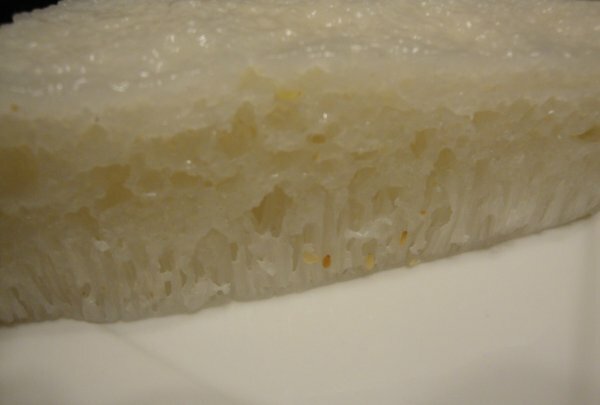 From Sing Cheong Yuan Bakery (1027 Maunakea Street, Honolulu, Hawaii). My father loved eating breakfast food for dinner, he probably loved eating breakfast food any time of the day. I think it was because the food would be fresh cooked (don’t ask). Anyway, I inherited that little quirk of his. For the past couple of months, my Wednesday schedule has been weird. Except for some occasional snacking, my first real meal is at dinnertime. There are not a lot of places that serve breakfast all day (I can only think of Denny’s and Zippy’s nearby, the waiting at IHOP is too loooooong). 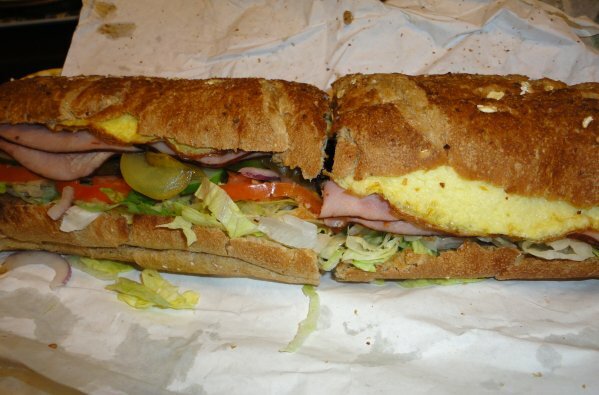 So when Subway advertised its Western Egg & Cheese sandwich as it’s December special, I was curious. Picked one up yesterday. This was in one of the cookie baskets we received for Christmas. Cute ya? I hope it’s gingerbread. 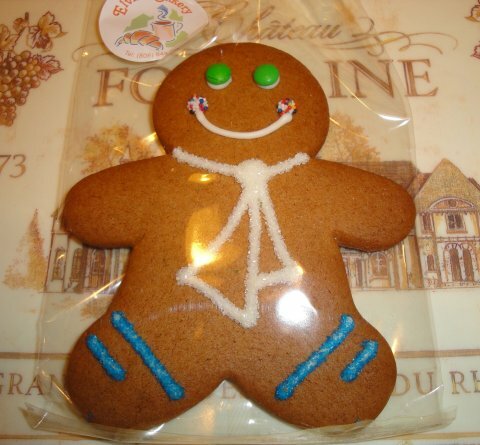 Never had a gingerbread man before. At least I don’t remember having gingerbread before. Saving it for later.